BASSOOKAH "Nobody Gets Out Alive" EP out now ! Today marks the release of the new BASSOOKAH EP ; "NOBODY GETS OUT ALIVE" ! 19 tracks in 16,5 minutes (an average of 52 seconds per song), all filled with attempts to mix drum'n'bass and breakcore with grindcore and death metal... and sometimes even with a little hiphop ! It comes with full artwork so you can burn your own physical BASSOOKAH EP to impress your friends and to finally make your house a cockroach-free enviroment ! 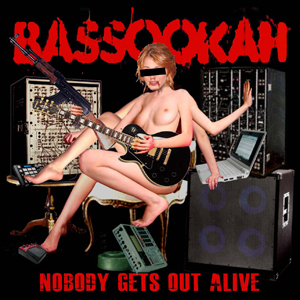 Subject: Re: BASSOOKAH "Nobody Gets Out Alive" EP out now !